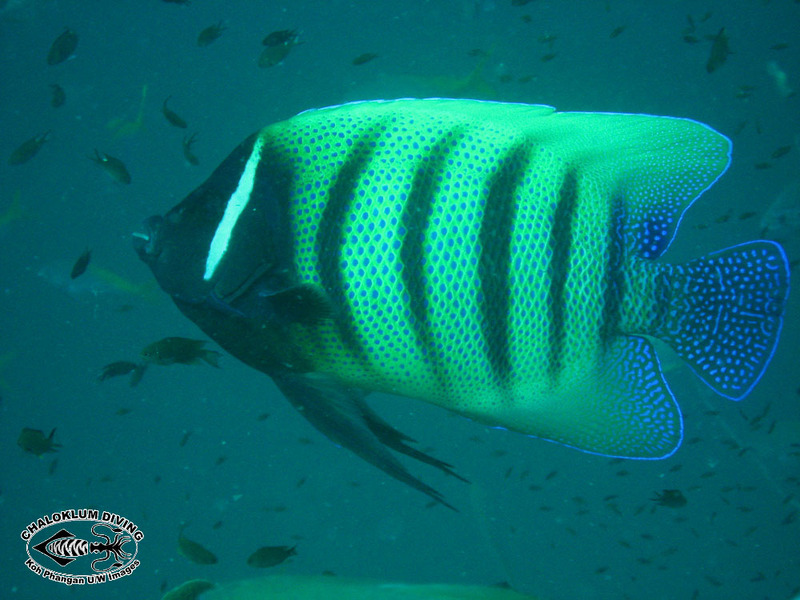 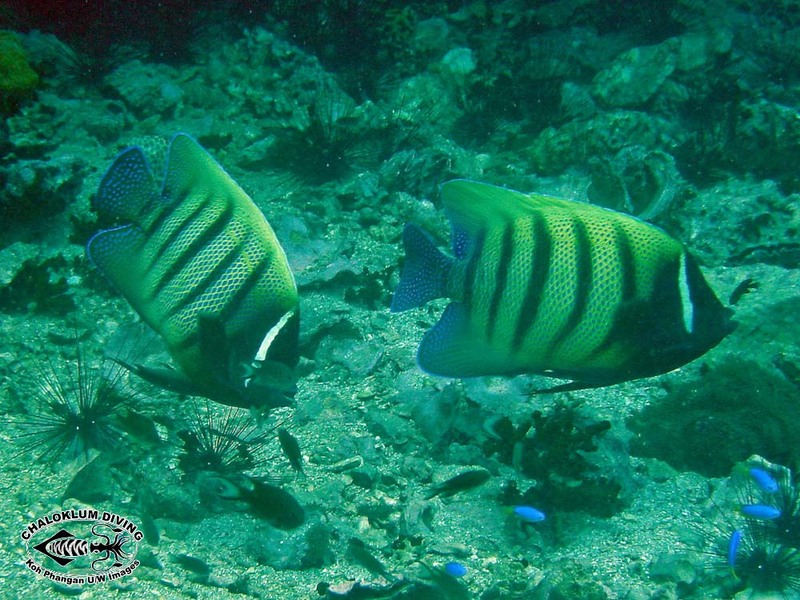 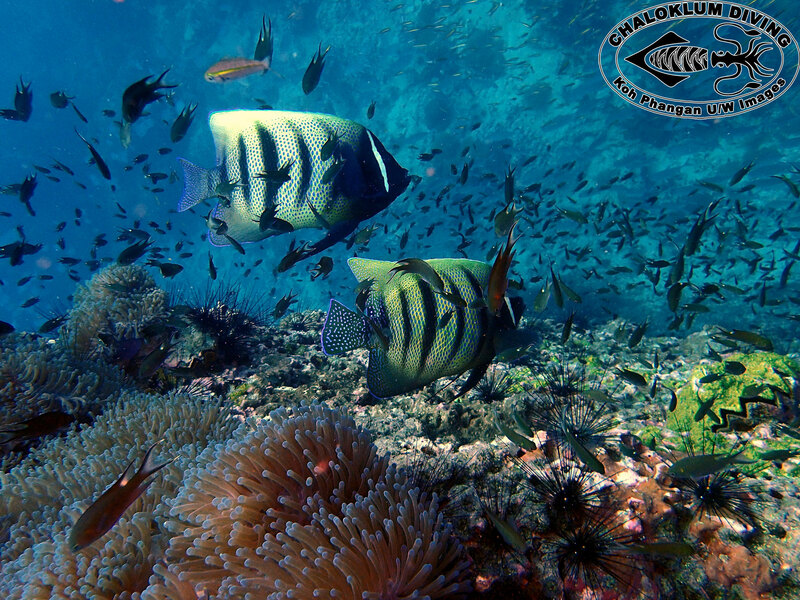 6 banded Angelfish are found at most of our deeper water dive sites. 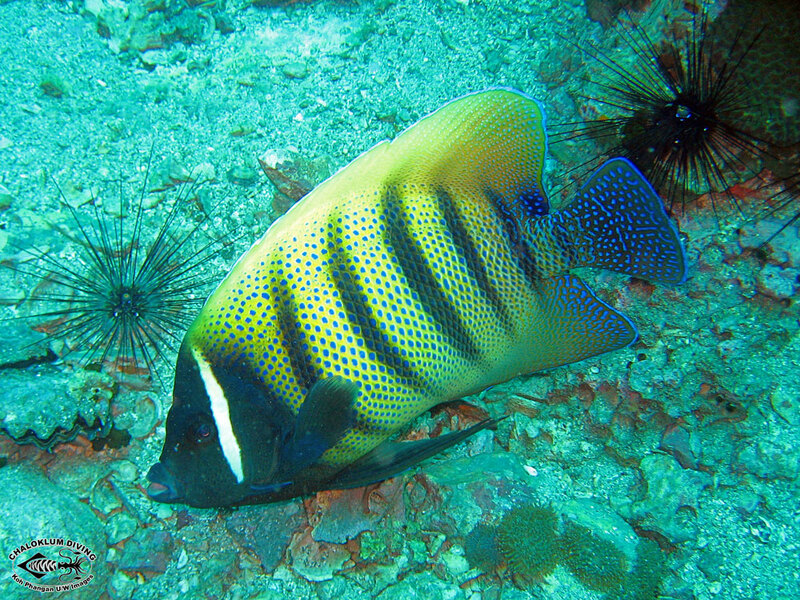 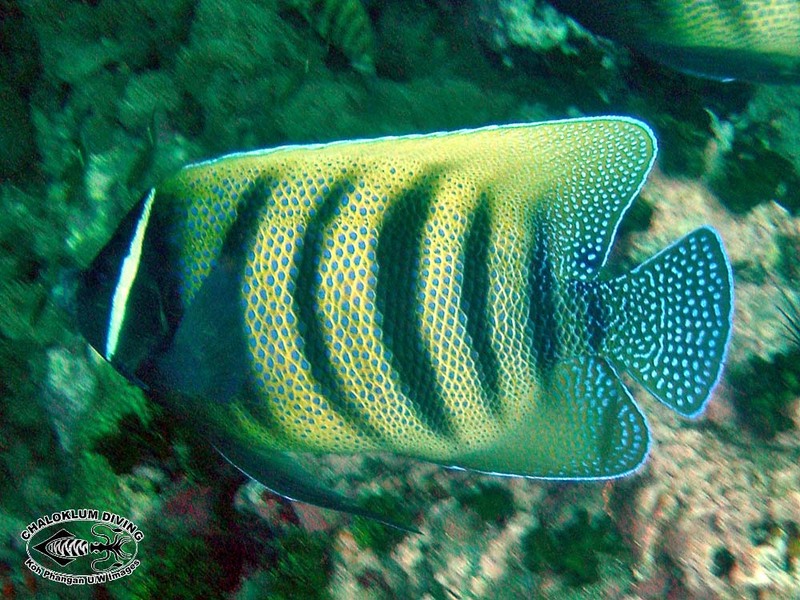 This fish is named after the 6 black bars on its side, set against a yellow background. 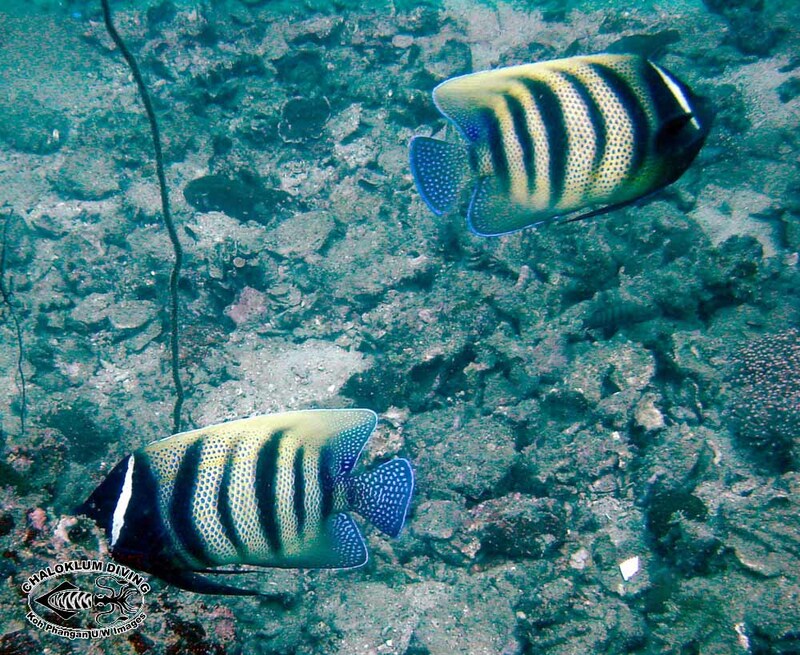 A favourite when scuba diving.